On September 2014, I visited for the first time Lisbon, the capital of Portugal. My daughter was there for her Erasmus University study program. While we visited the town, we went to the beautiful Museu Nacional do Azulejo (www.museudoazulejo.pt). 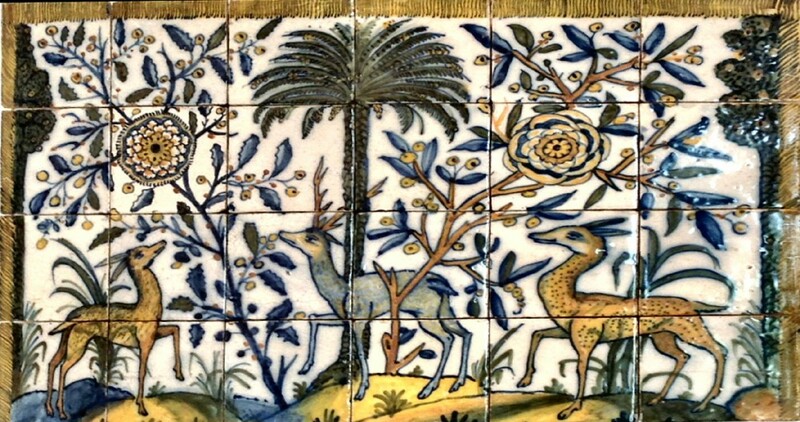 The museum collection features decorative ceramic tiles or azulejos from the second half of the 15th century to the present-day. I was allowed to take photos and one of the tiles panel drove my attention. 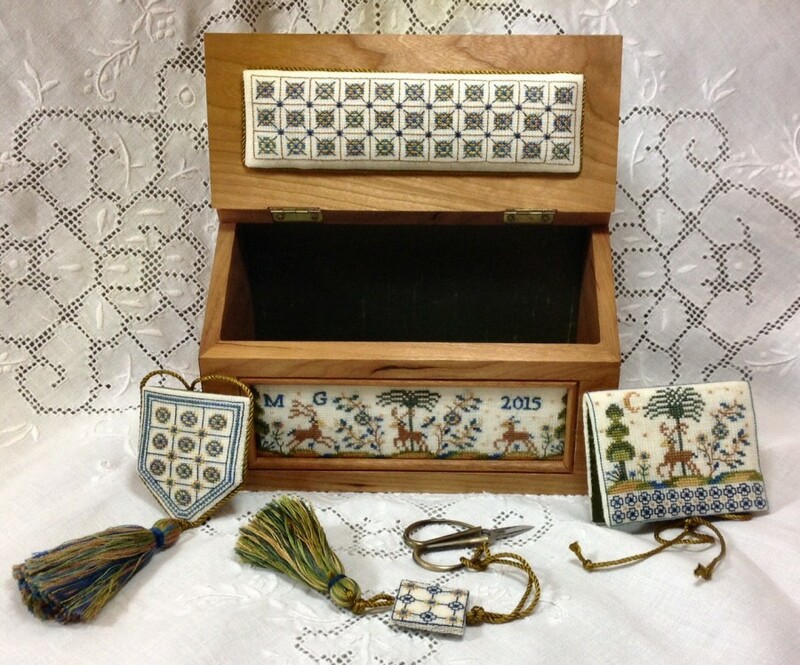 This box is dedicated to Mrs. Rita Nogueira Ramos, Lawyer and Past President of Clube Soroptimist Lx Caravela in Lisbon, a very special friend of our daughter Sofia. The lid hosts a beautiful pincushion and the sewing accessories are: a scissors case, a scissors fob, and a needlebook. Threads Hand dyed 6-stranded cotton Floss Collection skeins from Weeks Dye Works: one skein each of the following cotton flosses: 1124 Amber, 1228 Pecan, 1306 Navy, 2149 Peacock, 2159 Seaweed, 2201 Moss, 2205 Grasshopper.